With the year almost behind us, it’s time to take a look back on the top 10 posts of 2014, according to the numbers. While many posts reaching the top 10 were in relation to the Sport/Life European Footbag Tour, far away the top story was related to the crash by Chilean cyclist Irene Aravena. That post, including photos from Vasilios Devletoglou, was even more popular than the Sport/Life homepage throughout the course of 2014. With little surprise Irene Aravena was by far and away the most searched for term. Among other top contenders were various ways of spelling out the Arsenal website following the move of Alexis Sánchez, who has been in fine form with the Gunners. Carolina Rodríguez, Stephanie Joffroy and Evan Gatesman were also high on the list of attractions. Below we have the top 10 posts of 2014. 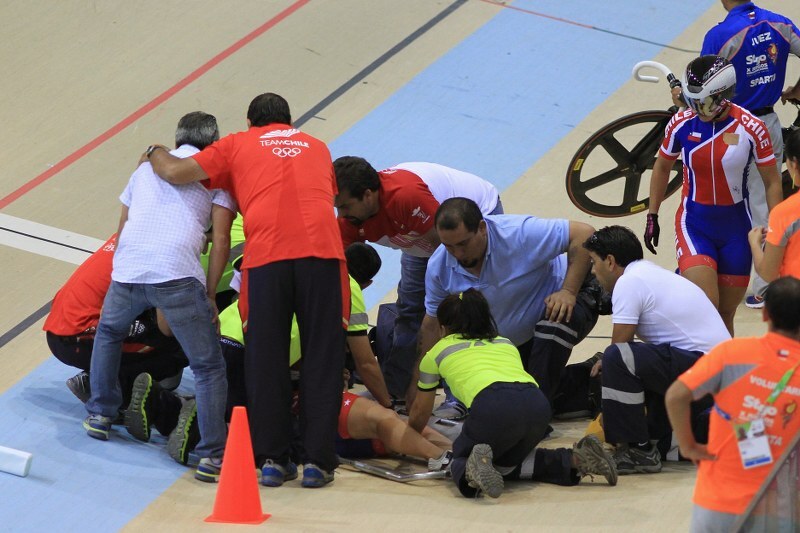 The Irene Aravena crash was one of the low point of the South American Games. With a multi-million dollar facility built specifically for the event in Peñalolen, the world class velodrome should have been one of the more positive aspects of the Games. Racing for bronze, Aravena failed to stop after a false start, with the starting gate still on the track. 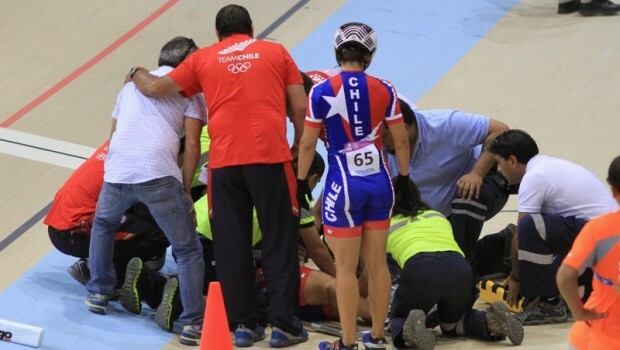 With volunteers standing idly by until it was too late, the Chilean cyclist slammed into the gate, flying into the air and snapping her bike in two parts. Things got more complicated after the crash for Aravena, with a doping case for cocaine complicating her return to the bike. The cyclist, who is nearing the final stages of rehabilitation after the injury, claims that no official notice has been given to her. Her family claimed earlier in the year that the charge was a smokescreen for the damage caused by the crash. 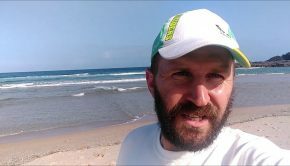 With the story making worldwide news, an English version of the action brought people to the Sport/Life site, with a number of Reddit threads enhancing the view count. This was the announcement post for our European Footbag Tour, which brought together five of the world’s best footbag players, who travelled through five different countries. They gave demonstrations in schools, competed in tournaments and played with up and coming players in Finland, Czech Republic, Austria, Switzerland and Poland. The tour was led by Canada’s Jay Boychuk, with Finns Aleksi Airinen, Juho Marjo and Anssi Sundberg joined by the USA’s Evan Gatesman. Strong support came from the Happy Seven hostel, Planetfootbag and the Footbag associations of each country. While 23 is an unlikely age to be called a veteran, Chilean alpine skiier Noelle Barahona already had three Olympics to her name after debuting as a teenager in 2006. Now 24, Barahona capped her year with first place in the FIS South American Cup. The interview did not just focus on her Olympic efforts, which were hampered by a crash in the first race, but also looked at her family’s sporting background, the problems with coaching and the possibilities for winter sport in Chile. Sport/Life would like to thank Noelle for taking the time to give such detailed answers and open up about her personal life. As well as spreading the story through her social media channels, putting the story as one of the most read in 2014. Our coverage of Chile’s winter athletes also saw quotes from Sport/Life used on the official Sochi website in the leadup and during the Games. 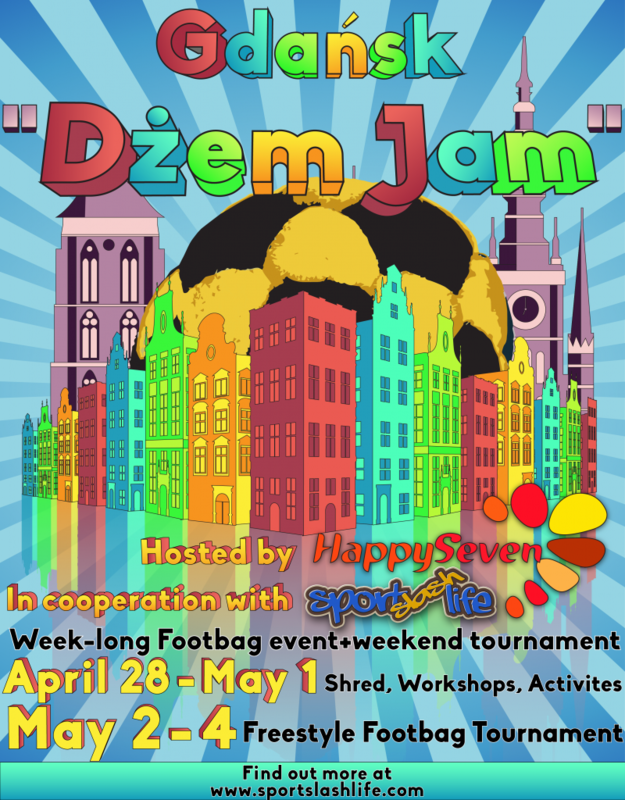 While the early days of the footbag tour saw the players competing at the traditional Todexon event in Prague, the final event was completely new. Held at the Happy Seven hostel in Poland, owned by Caroline Birch, the event brought a fine ending to the tour, with Evan Gatesman sweeping the competition. Aside from the tourists, players from throughout Poland and further afield in Europe were in attendance. For the footbag tour, each player had a teaser video made for them, with Gatesman’s proving highly popular. Being the last to join the tour, the Las Vegas man brought a fresh energy to the tour, with his drive helping his push towards the World Championship in the Circle Contest. All videos from the tour can be seen in this post. Ahead of the tour, Jay Boychuk travelled to Finland’s north to see what makes Juho Marjo tick. 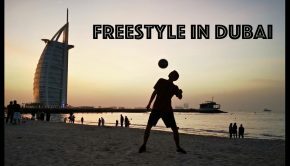 The interview took a look back at his experience in becoming one of the world’s leading footbag players, with many people waiting with excitement for each new video. With Juho currently in Australia, Sport/Life will have some new “Super” Marjo content early in the new year. In the leadup to the European Footbag Tour, Sport/Life laid down the challenge to the world’s best players, looking for somebody to hit 25 unique fearless tricks on camera in a one month period. Two carrots were put in front of the players, with $100 on offer to the first to break the 25 mark, and then $100 for the player to reach the most fearless contacts. Nobody could break 25 during the competition period, with Nick Landes (Portland, USA) taking top spot with 20 contacts. A follow up to the violent crash that took top spot in 2014, the following week Aravena was discharged from hospital and began her long road to recovery. This story was written by John Lyons, who was a huge help with the Sport/Life project in 2014. The Barmy Union cricket team were a bunch of cricket fanatics who got together and played matches throughout Chile and Argentina. The interview gave a preview ahead of their matches played at the Cencosud Field in Santiago, home to both cricket and Australian Rules football in the Chilean capital. A surprise victor in the Shred 30 competition, Japan’s Taishi Ishida overcame tough competition to win the first ever World Championship for Japan. Scoring 242.70 in his 30 seconds, Taishi overcame Vasek Klouda, Aleksi Airinen, Evan Gatesman and Mathias Blau for victory. He showed his hard work promoting footbag in Japan has paid off, with regular appearances on television and at other major sporting events helping him hone his performances.